Launched in March of 2010, Pinterest has quickly become an important social media community that is not surprisingly dominated by women. It’s a pin-board style photo sharing network that is made boards (where you pick a theme like “my favorite hair care products”), and images that have either been uploaded by the user (a pin), or images they’ve re-pinned from others in the community. Why is it important to the hair care industry? The biggest reason is the simple fact that Pinterest is dominated by women. 97% of the people who like Pinterest’s Facebook page are women. 20% of all women active on the Internet use Pinterest. That number is only 5% for men. So for a Hair Salon, Spa or even the individual hair stylist these are critical stats. This is where the eyes of your ideal consumer are. People don’t pin or repin something on Pinterest unless there is a desire to have what they’re pinning. It’s basically a visual bucket-list. So we already know that the Pinterest is a great medium to get salon owners and stylists in front of their ideal demographic. But how are you supposed to translate the popularity of your board or pins to actual business? That is ultimately what we are looking for right? Low Maintenance – Using Pinterest is really easy and requires very minimal maintenance. Where in Facebook and Twitter you’re keeping track of comments and shares; with Pinterest you upload a beautiful image, tag it with proper tags and add a good description. Then just sit back and let the Pinterest Community do it’s thing. Connect Visually – Stylists are visual people. What you do is extremely difficult and requires great judgement and excellent execution. Your customers want to walk out feeling great so if you can give them that confidence before they even book an appointment, you’ve already completed one extra step in the sales process. Increase Sales – If your salon sells hair care products, you can definitely take advantage of the traffic Pinterest can generate. I’ve explained how to do this near the end of this post. As a side note though; the products you sell shouldn’t be items you can easily find in a drugstore or supermarket. I personally love the Kevin Murphy Night Rider texture paste. It’s something that I either have to find through my stylist or buy online. Inspire and Get New Customers – No one really goes onto Pinterest to buy something. They’re generally there to get ideas, and be inspired. The beauty industry has always had the opportunity to inspire but more so now than before. With images of cuts and styles and coloring that you’ve done in the past, you can potentially move a customer to take action when they had no intention of doing it in the first place. When someone is ready to buy a product online, they just go to amazon or eBay. But what if they find a hair color that they feel would look spectacular on them? Could that not inspire them to book an appointment? Generate Website Traffic – The amount of website referrals you can get from Pinterest is incredible. When you upload an original image that gets pinned multiple times or maybe even goes viral, the link on the pin will be redirecting traffic back to your website. This can enhance your search engine rankings dramatically. Because very few salons actually take advantage of this; you are in an excellent position to take over the rankings and increase your web presence, and ultimately bring in more customers. The catch though is that the traffic you generate needs to go to a salon website that can convert a potential visitor into a customer. Getting yourself started on Pinterest is pretty easy. When they launched a few years ago it was by invite only, but it’s been open to the public for some time now. To get started just go to the Pinterest Website and create a user account using your email or Facebook account. Remember to open your account as a business! Once you’ve filled out your basic information, you’ll want to make sure you edit your profile as well. Fill this section out completely. 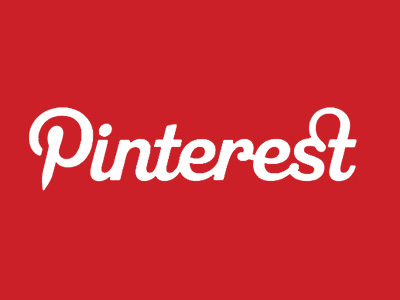 Probably the most important part is linking your Pinterest account to your salon website. The importance of this is crucial because you’ll be driving a lot of traffic back to your website through your Pinterest account. You do need to verify that you are the owner of the website through Pinterest via a file or a meta tag. If you’re a SalonNerds.com customer; we’ll take care of this for you. Creating a pin or board is super easy. When you click on the pin it button, you have the option of uploading an image, extracting one from a website, or creating a new board. Obviously you’re going to want to begin with creating a few boards to put your pins into. Here are 10 board ideas to get you started. Individual Boards for your Stylists – A board for each one of your stylists and images of before/after cut’s and styling that they’ve done. I’d encourage them to take some before photos, and after photos on some of the more complex cuts that they’re planning to do. You can do the same for hair coloring, and hair extensions. This will be a gallery of work you’ve done. Testimonial Board – Create a testimonial board to put pictures of your customers with their testimonials put into quotes at the bottom of their image. This obviously takes a bit of planning but it is well worth it. Our Salon Board – A board dedicated to images of your salon and the people who work in it. You’re probably going to want professional pictures taken, but this would be a great way to show everyone who your salon family is. Salon Events Board – In this board I’d put images of events that you’ve thrown, and ones that you’re planning. Pictures of any holiday parties, or upcoming celebrations should go in here as well. Products Board – This would be the perfect place to put images of the products your salon uses. Maybe take it even a step further and put in descriptions on what type of styling products are used for which scenarios. If you sell your product and are looking to do so from your website; this is also a great place to do it and I’ll talk a bit more about that below. Tools of the Trade Board – I’d list the tools of the trade that every stylist needs. Your favorite set of shears, spray bottle, and anything fun around the salon. Hair Styles Board- A board dedicated to different hair styles. This is probably one that should definitely be on your Pinterest board. A quick search will give you great ideas on images you can take yourself, or at the very least pin from other boards. 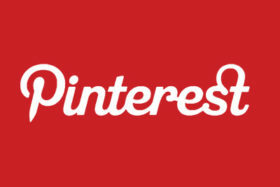 Video Board – An interesting and underused feature of Pinterest is adding videos. As a salon owner or even an individual stylist one thing you can do is create videos on how to do specific types of hair style. For example a video of a stylist doing a double pony tail on a customer. Bridal Hair Board – This is a great niche to dedicate an entire board to. Add pictures of bridal hair you’ve done or bridal hair that you’ve pinned from other places because they’re just incredible. Hair Care Board – Add pins of hair damage and advise on how one would treat the problem. The same can be done for skin care, nail care and etc. Remember these are just a few ideas to get you started. The more specific you can be with the boards, the higher the quality of your followers will be. So if you’ve got any additional suggestions, make sure you leave a comment! Now that you’ve got your boards ready. You’ll want to start pinning images into them. Keep in mind that on Pinterest, brands are really not very relevant. The most popular of celebrities and brands don’t have the same volume of followers that they may have on Twitter or Facebook. That’s because the only thing that matters on Pinterest is your images. So when you’re looking to pin from another board, or upload your own image, keep in mind that it has to be high-resolution, and visually appealing. Pick the board you’d like to put the image into and make changes to the description if you’d like. Important Note: You can use hashtags on Pinterest the same way you would on Instagram, or Twitter. They make it easier for people to find your boards. Also, if you are uploading your own pin, you’ll have the opportunity to link the image to go out to any web link that you’d like. Obviously the whole idea is to link the pins you’ve uploaded back to your salons website for conversion. Tip for Increasing Sales – If you sell products on your website, make sure you link your pins to go directly to that products specific page on your website. For example if you’re selling a bottle of hair moisturizer, make sure clicking on the image takes the user to the page where the hair moisturizer is, not your general home page. This little tip alone can increase your sales conversion dramatically. You can download the Pinterest app for your mobile phone the same way you would with any other app. The functionality of the app gives you the same abilities as the website edition, but it also allows you to upload and take photos from your phone, and add location settings to them as well. Comment on Pins – Comment on pins that are related to the hair and beauty industry. You’ll need to be consistent and leave comments that capture their attention. Follow Industry Related Boards/Pinners – You can do a quick search in the upper left corner of Pinterest to find people in your industry. I’d probably recommend you looking for other salons, product providers, and anyone else who shares the same interests as you. Encourage Followers Through Your Website – If you have a salonnerds.com website; you’ll see that every image in your gallery will come with a “Pin It” button so viewers can easily pin from your website onto their Pinterest board. You can also add a follow icon on your website to promote new followers as well. But remember, you’ll need to be active and consistent for this to work. Use Great Descriptions and Hashtags – Don’t forget that like Instagram and Twitter, you can use hashtags in your Pin’s descriptions. Be smart and add value. “How To’s” are a great way to get some traction quick. In conclusion I hope we’ve given you the ideas you need to start a successful campaign with Pinterest. Feel free to follow SalonNerds.com on Pinterest. Additionally, please share this with anyone else you feel like would get value from it in the hair care industry!